Pu-Erh tea (also known as aged or vintage tea) is another of China's great treasure with its origin in the western China. It is unlike any other tea in the world but Westerners can appreciate its similarities to fine wine, with which it shares many attributes. History has contributed to considerable confusion in the naming of Chinese teas. 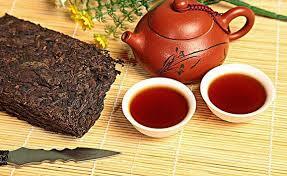 In the West, what are known as the Chinese Black Teas are actually known as Red Teas in China. The true Black Teas as they are known in China are the post-fermented (aged) teas, of which the Pu-Erh family of teas is the most famous. 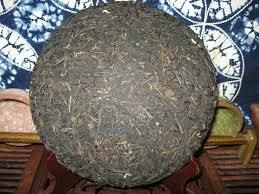 There is a long history of exporting compressed, aged green Pu-Erh Tea, dating back to the 7th century. In need of tea that did not spoil on the trip, various fermentation methods and compressed shapes evolved to make transport easier. It was found that tea actually improved with age so warehousing became the practice. In Tibet where beef and mutton and few vegetables were consumed and the coastal regions of Guangdong and Hong Kong with lots of seafood consumed, people in these areas found Pu-Erh Tea helped with digestion and provided important nutrients not available in their local diets. 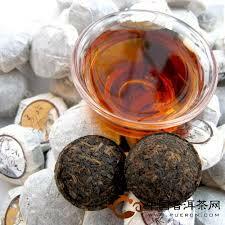 Pu-Erh was also very affordable, so drinking Pu-Erh Tea became popular in these areas and remains so today. In 862 CE, Fan Cheuk, a Tang Dynasty (618 - 907 CE) scholar undertook a mission on behalf of the Emperor to Western China and Yunnan. He wrote in his book Meng Shu (“Book of Uncivilized Peoples”), “In the mountain areas around Yin-sheng, people use no sophisticated methods to pick tea. They cook leaves mixed with ginger, pepper, spices and milk and drink it”. Imagine the fuss of the royal court accustomed to green tea hand-picked by maidens with golden scissors to select the most tender green tea buds and tips. Many Emperors drank Pu-Erh tea for longevity and especially liked the taste of the teas made with the finest tips. In the Qing Dynasty (1644 - 1911), Pu-Erh tea from Simao in Yunnan became a tribute tea by order of Yongzheng, the second Qing Emperor. In the tribute custom, tea regions were selected by the Emperor to produce tea to be offered as a gift to the royal court, which was a great honour and chance for business. In 1879, the British and French, in their quest ever for black tea, set up customs offices in Simao. Tea export increased and the ancient remains of the famous Pu-Erh Tea Horse Roads which radiated throughout Asia, are now a national heritage.